A friend pointed out that True Grit is being remade this year. With a scheduled release date of December 25, 2010, that leaves you and I lots of time to schedule our viewing of the original. Not necessarily my ordinary choice of movie but, as I've said before, I'm up for trying a lot of different movie genres. This 1969 Western film starred John Wayne as the infamous Rooster Cogburn. As a matter of fact, Wayne won the Academy Award for Best Actor in this film. Apparently, the book by Charles Portis is good as well so, if you like the movie, you might want to check out the book, too. So if you'll excuse me now, I'm off to check out the movie with my teenage son. I'll be back. 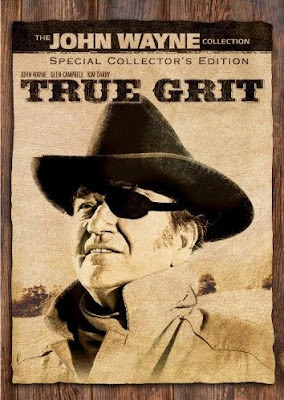 Buy your copy of True Grit on DVD. Buy the book True Grit by Charles Portis.